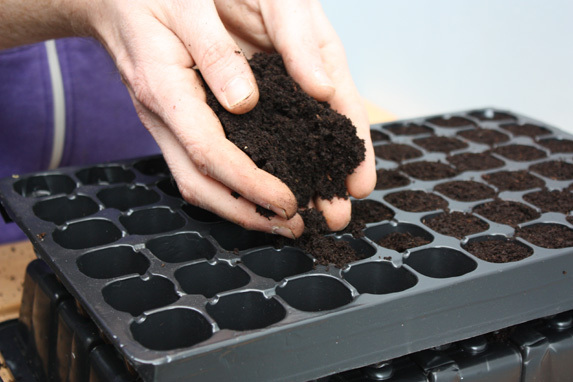 Fill cell trays with sieved seed and cutting compost. Don’t compact the compost by pressing down, but do tap the tray to knock out trapped air. Water the trays with a fine-rose watering can until you see water escaping from the drainage holes. 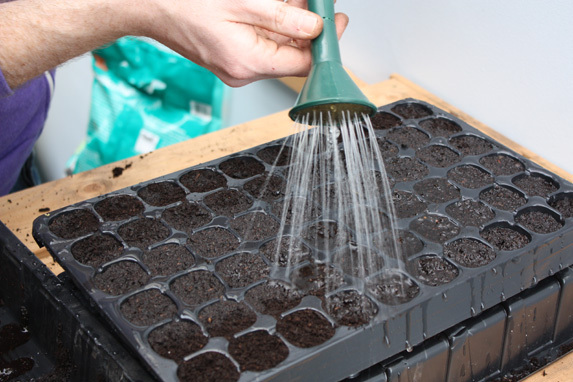 Allow to drain fully before sowing. 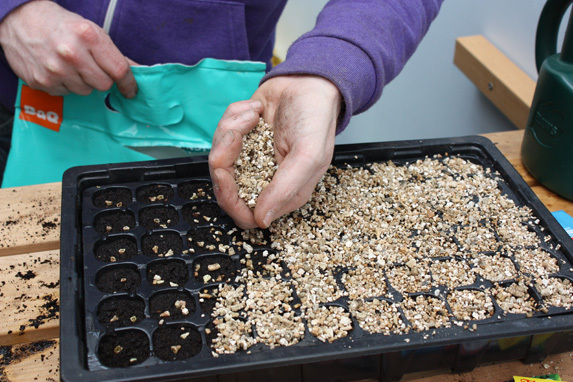 Set your cell tray in a seed tray lined with wet capillary matting, then sow two seeds per cell, or more if you’re sowing tiny, hard-to-handle seeds. 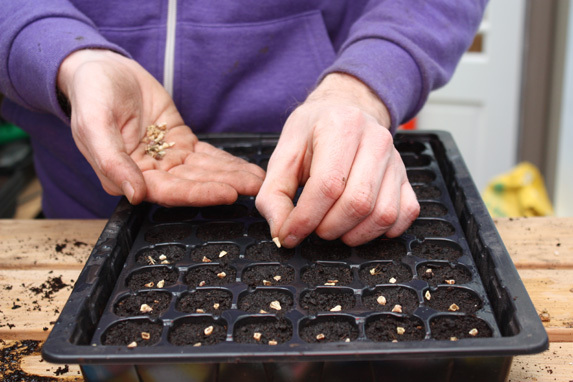 Cover the seeds with a fine layer of sieved compost or vermiculite. Do not water. The covering will soon absorb moisture from below. 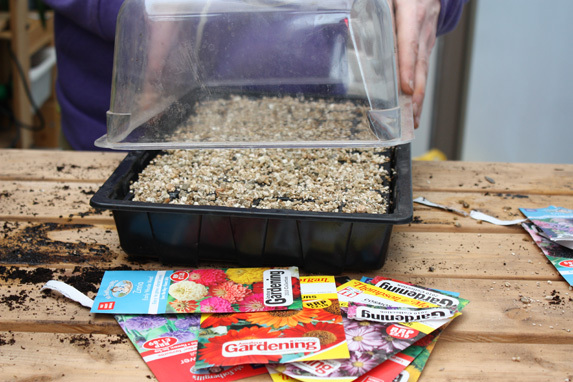 Cover with a propagator lid. 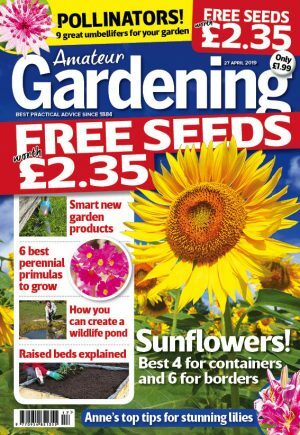 Hardy annuals will not need extra heat, but half hardy annuals will require a temperature of 20-25ºC (68-77ºF). After germination switch off heat. 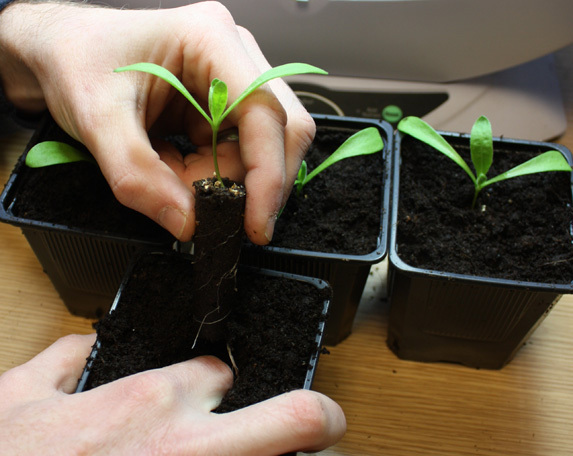 Pinch out seedlings to leave one per cell. When large enough, transplant into pots of multipurpose compost.